When civil war broke out in Burundi in 1993, Edith Uwineza and her family sold their belongings and fled to Tanzania as refugees. It wasn’t until two years later that they were able to return to Burundi and begin life anew. Edith’s husband worked as the supervisor of a construction site and owner of a cement shop, and Edith managed a small roadside stand where she sold green peppers and tomatoes. Despite her hard work and diligence, Edith found it difficult to earn a sufficient income and lacked the resources to expand her business. 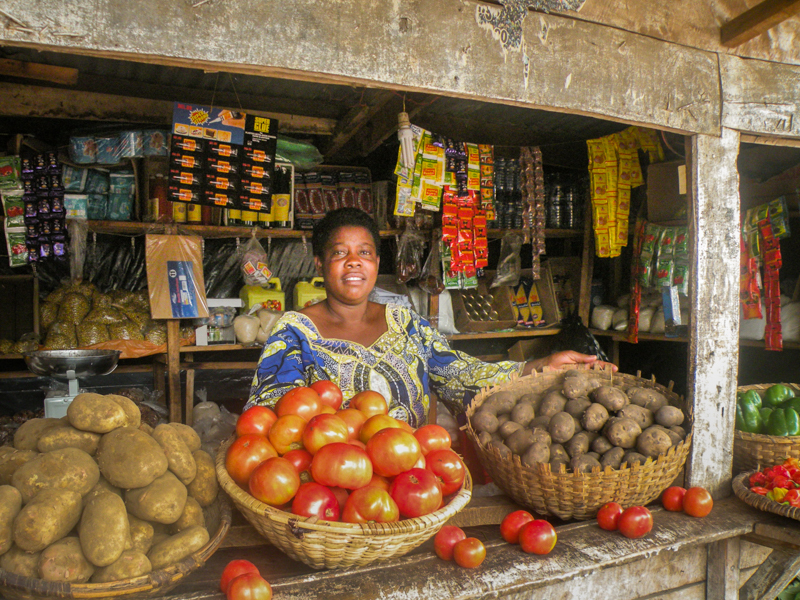 After learning about to Turame, HOPE’s local partner, Edith received a $30 loan that enabled her to sell a wider variety of vegetables at her stand. 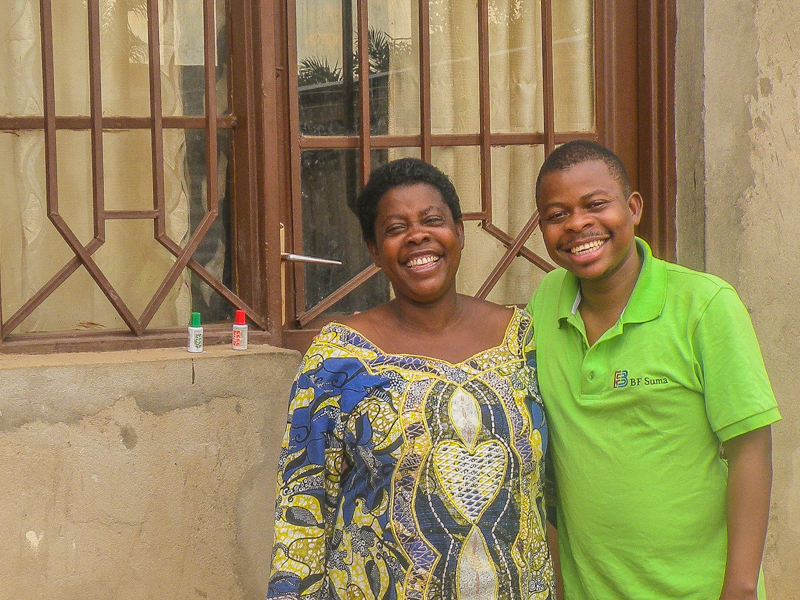 She has since taken out 14 loans, which she has used to diversify her inventory to include non-perishable items and charcoal for cooking. As Edith’s business grew, she began renting out her small kiosk to other vendors and moved to a local market where she could serve more customers. Recognizing that she will eventually be unable to be as involved with her business as she grows older, Edith is using her sharp mind for business to plan for the future. She wants to purchase land and build a house to rent out, as well as continue her business through hired employees.